Last year it was noted that "In Trump's First Year, US Democracy Proved again to be Resilient" (1). Unfortunately we cannot say the same about Iran's Islamist regime where 40 years passed the Iranian 1979 Revolution, as Iranian expression says: the door still rolls on the same heels of dictatorship. Two months ago I discussed "A Misunderstanding of Mr. Pompeo's VOA Interview about Iran" (2). And a week ago, wrote an open letter to President Trump discussing how United States can help Iranian people and opposition (3). President Trump has now announced that he is willing to meet Iran's president unconditionally. I believe US negotiation with the Islamic Regime of Iran is to the advantage of Iranian and American people *only if* it is *not* for the purpose of a quick deal like what President Obama did in the case of Iran deal. President Trump's quick deal with North Korea two months ago was a right move, but Iran is a different situation. A longer negotiation will give both Iran's Islamist regime the chance to change behavior or Iranian people's movement to replace it with a secular democratic regime. It is next to impossible to predict the result from now and it depends on how the regime will behave during this year and what the people will decide. 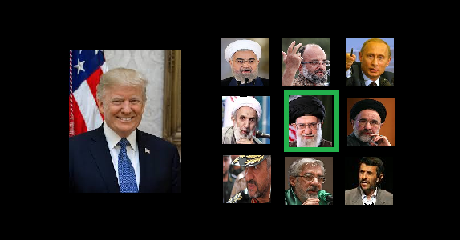 United Stated should not rush into any deal with Iran's Islamic Regime although negotiating for a year to achieve a proper deal seems to be appropriate before taking any drastic action. In the meantime, decisions concerning the relations of the two countries is best to be handled by the state departments of the two countries on an ad hoc basis to allow negotiations and people's secular democracy movement to bear fruit.